Wizards! Unrequited love! War! Spylords! 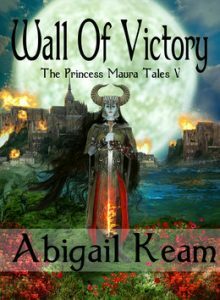 Book 4 of The Princess Maura Tales—a five-book saga. 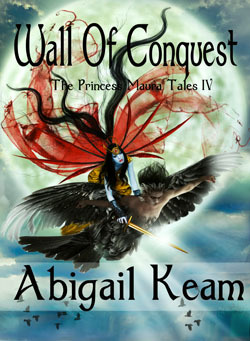 If you love sword/sorcery and action/adventure stories, Wall Of Conquest should be your next read. After battling the evil wizard Zedek in the cave of the Mother Bogazkoy, Maura discovers that Dorak, the love of her life, and Gitar, Empress of the Dinii, a bird-like people, have vanished. Most assume they have perished. Grief-stricken, Maura is determined that the child she is carrying shall become the ruler of the Bhuttanian Empire––but this means civil war! Maura must travel to the capital of Bhuttan and confront Dorak’s first wife Jezra and seize the throne from her. Only then can Maura restore order to the Empire. Deep in her heart, she believes that Dorak and Empress Gitar are still alive and hopes to find them. She sends KiKu, her spylord, and Timon, an untested royal scribe, on a secret mission to the temple of Bhuttu where mysterious bird-like creatures have been seen. Maura’s quest to find Dorak is not without risk, but nothing will prevent her from finding him and ascending to the throne.